Beijing: China has more than 30,000 scenic spots and tourist attractions, among which 259 have 5A-level ratings, the highest rating for Chinese tourist sites, according to the Ministry of Culture and Tourism. However, the ministry also noted that during the first 10 months of 2018, over 200 tourist sites had been delisted, demoted, or warned for poor management, poor service or a worsening environment. China has a tourism-rating classification system which rates a tourist attraction from A to 5A for its overall tourism quality. 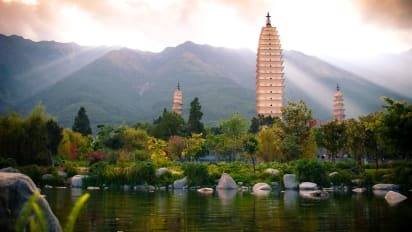 Top-level sites include the Palace Museum, the Summer Palace, the West Lake in Hangzhou and the Emperor Qinshihuang’s Mausoleum Site Museum in Shaanxi Province. According to Shan Gangxin, an official with the ministry, there are about 300 “red tourism” sites, or historical sites with a revolutionary legacy, nationwide. Shan said China’s tourism industry was developing, and both the sightseeing and leisure activities markets were growing.